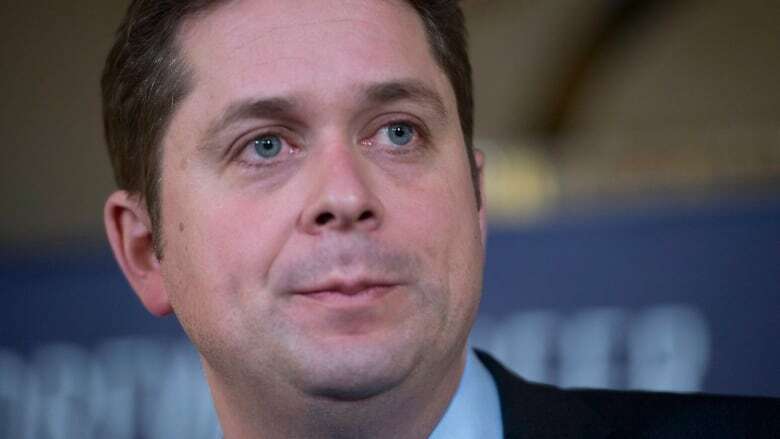 After a magazine report alleging sexual assault by a former Conservative MP, Tory Leader Andrew Scheer says he finds such behaviour "disturbing" and has vowed to block candidates accused of misconduct from running for the party in the next election. Opposition Leader Andrew Scheer was forced to fend off questions Monday about how a former Conservative MP was allowed to run in the 2015 election despite allegations of sexual assault, saying candidates accused of misconduct would be barred from the party under his leadership. 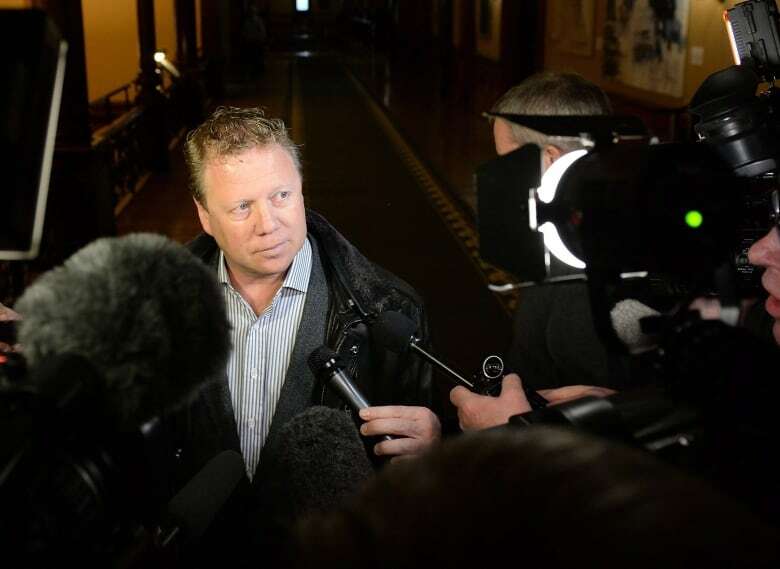 Rick Dykstra stepped down as president of the Ontario PC Party Sunday after Maclean's magazine contacted him about accusations he sexually assaulted a parliamentary staffer in Ottawa when he was a Conservative MP in 2014. The allegations were the latest to rock parties on both sides of the aisle in Ottawa, as well as in provincial parties in Ontario and Nova Scotia in the last week. "This sexual assault allegation is disturbing and has no place in Canadian society, especially within our political system," Scheer said in a statement to CBC News. "We understand how difficult it can be for women to come forward under these circumstances." The Maclean's report said the incident was known to senior Conservative staffers — as it had been reported to the party's whip and subsequently to Ottawa police — and yet he was still cleared to run for the party in the 2015 campaign. CBC News has not spoken to the victim of this alleged sexual assault, who has not been identified. But in an interview Monday with CBC Radio's As It Happens, a former chief of staff to then Conservative whip John Duncan confirmed she met with the woman over coffee in 2014. Kym Purchase said the woman told her about the alleged assault, but in less detail than what was later recounted in the Maclean's report. "She said she was assaulted, and she felt she didn't have a choice. I did believe her." Purchase said the woman implored her not to tell anyone in the party about what had happened. "It's terrible, but I couldn't [tell] . . . she asked me for my word that I would not do anything further on it. I gave her my word, it was her choice, but if she changed her mind at any time in the future she could call me," Purchase said. "You know, here's this young woman, early in her career, carrying this burden, and what she's most afraid of is that someone is going to find out and her career is going to be ruined before it gets started." Purchase confirmed she then told the party's lawyer, Arthur Hamilton, about the allegations ahead of the 2015 federal election campaign. "I subsequently received communication from the party lawyer asking me the same kinds of questions you're asking me, and then I didn't hear anything from them again ... so I'm not privy to who was aware beyond my communication with the lawyer. "I don't actually know which senior campaign folks knew what, at any given time, during all of this," she said. Hamilton, who also worked with the party during the Mike Duffy expenses scandal, has not responded to a request for comment. When asked if she had any regrets about how the incident played out, Purchase said she regrets the woman had to face this type of behaviour in the first place. "I regret that this went on for so long, and now it's coming out. I regret all of that. But I really just wanted to help and I believed that listening to her story, believing her, and then respecting her wishes, was the best I could do to help. And I hope it was and I don't regret it." Ultimately, Dykstra was allowed to run in his St. Catharines riding. He lost to Chris Bittle, his Liberal challenger. After leaving federal politics, Purchase went to work as chief of staff for Jamie Baillie, the leader of the Progressive Conservative Party of Nova Scotia. Baillie himself resigned last week amid harassment allegations. When asked about this incident, Purchase said she was "not at liberty to speak for the party," but said she is "never happy about this stuff." Asked Monday about what party officials knew of Dykstra, Scheer said he would not comment on the activities during former prime minister Stephen Harper's re-election campaign. "I cannot speak to decisions made by past campaign teams, but if the party was made aware of a sexual assault allegation today, the individual involved would be immediately removed as a candidate for the Conservative Party of Canada until the results of an investigation," Scheer said. Ottawa police told CBC News Monday they could not confirm or deny a complaint was made about the incident, as charges were not filed. Dykstra is a close friend of former Ontario Progressive Conservative Party leader Patrick Brown and served as party president during Brown's tenure as leader. Dykstra resigned from his post Sunday after being contacted by the magazine to comment on the allegations before the story was to be published. In a statement, Dykstra said he was taking "a step back" as the party moves to "coalesce" around a new leader. He made no mention of the allegations in his statement. The allegations come on a day parliamentarians are debating Bill-65, legislation introduced by the Liberal government last fall that would extend workplace protections to people working in federal politics. Hill staff are currently barred from making normal complaints under the Canada Labour Code. Prime Minister Justin Trudeau was facing his own questions Monday about one of his former ministers, Kent Hehr, who resigned as minister for sports and disabilities last week after an allegation he made unwanted sexual comments to women working at the Alberta legislature a decade ago. On his way into question period Monday, Trudeau didn't respond to reporters who asked why Hehr was still in the Liberal caucus despite complaints that his behaviour has continued during his time of Parliament Hill. Trudeau accepted Hehr's resignation from cabinet last week and said an independent investigation into Hehr's behaviour would be conducted. Conservative MP Michelle Rempel said the culture of Parliament Hill allows incidents of sexual violence to occur in part because of the free flow of alcohol at after-work functions and the power dynamics at play when young female staffers socialize with powerful men who are away from their families. "Is it possible for a drunk staffer to give consent to a senior male . . . who aggressively propositions them? Within any standard workplace code of conduct, the answer to that should be unequivocally no," she said in a speech to the chamber. As to the accusation that Conservatives running the campaign war room allowed Dykstra to stand for re-election despite the allegations, Rempel said, if that is true, "those people should be ashamed of themselves and they should have no role or influence in this or any political party." "That is disgusting," she said. Labour Minister Patty Hajdu, the sponsor of Bill C-65, said "time is up" on men harassing women on Parliament Hill without consequence, using the phrase popularized by activists in the U.S. in the aftermath of the Harvey Weinstein scandal. "Parliament Hill features distinct power imbalances, which perpetuates a culture where people with a lot of power and prestige can use and have used that power to victimize the people who work so hard for us," she said. "It is a place where often the victimized individual is blamed for the harassment that she herself has experienced. We are all familiar with this phrase: She brought it on herself."